Continue your path to becoming a well-rounded PADI Instructor by acquiring your PADI Nitrox Specialty Instructor course. What could be more fun than sharing what interests you with the world? Speciality Instructor courses allow you to teach some of the most exciting diver specialities available. The PADI Enriched Air Diver specialty is one of PADI’s most popular scuba courses, which is a great reason to get certified to teach. 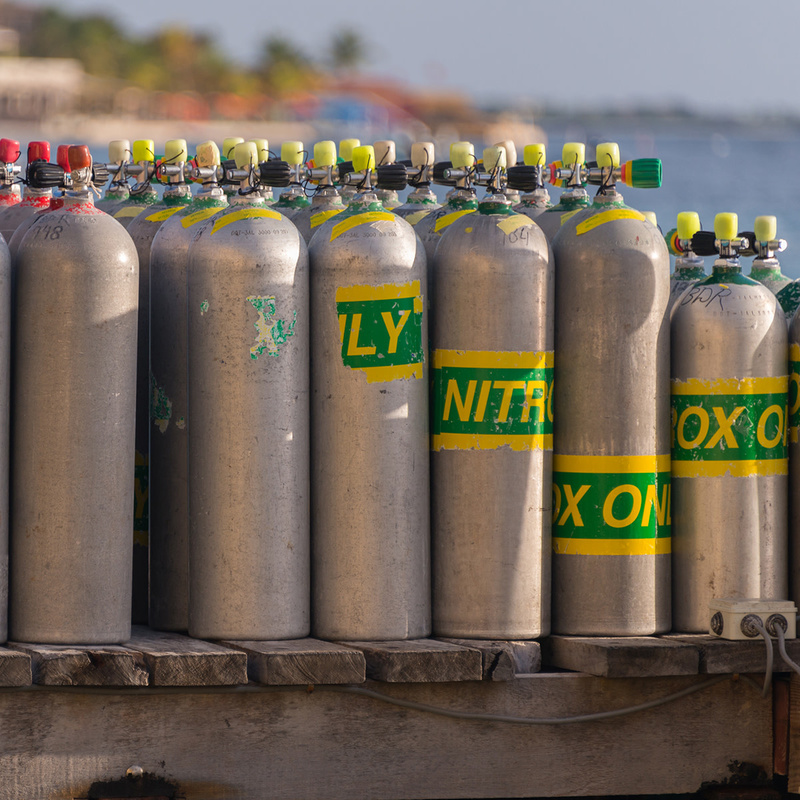 Nitrox diving is in high demand because it limits decompression time for divers and allows you to stay down longer. In this course, you’ll learn how to teach divers about why diving with air that has a lower nitrogen content will enhance their diving. While discussing how to manage oxygen exposure, and helping students with their tanks and nitrox analysis, you’ll become a better instructor. The PADI Nitrox Instructor Specialty course is a great way for instructors to gain more experience as educators. On top of that, the Nitrox course can count towards gaining your Master Scuba Diver Trainer rating! There are endless benefits to completing more Specialty Instructor courses. To get started today, contact us and we’ll set up a meeting over coffee at our flagship store.